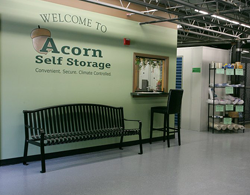 Acorn Self Storage has been providing storage to the greater Marlborough, MA community since 1999. Acorn was originally started to help solve people’s “in-between” time dilemma. You know that time when you have to be out of one residence and can’t get into your new home for days or weeks. Maybe you have experienced “in-between” time moving from one apartment to another, or downsizing from a larger home to a condo, or relocating from another state. Maybe the moving van arrived in Marlborough before you were able to arrive or before your new residence was available for occupancy… and maybe you have experienced in-between time in your relationship and have stored your furnishings while you came up with a new game plan. Our 4 ft. high loading dock makes it easy to offload from delivery trucks and moving vans. 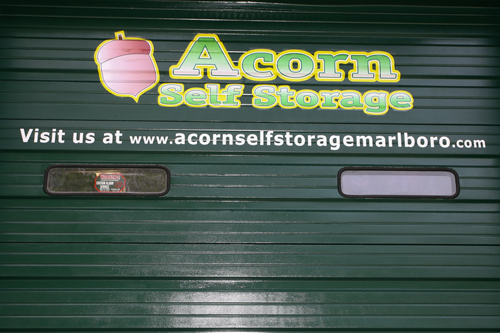 No matter the reason, Acorn Self Storage has been helping people store their belongings for almost 20 years. And, nowadays, Acorn Self Storage is helping businesses – not just “in-between” time – but everyday! We provide safe, climate-controlled storage to businesses like small retailers, independent sales professionals, lawyers, dentists, doctors, contractors, antiques collectors, and other businesses. Learn more about the services we provide for self-storage for businesses. Our staff is friendly, knowledgeable, experienced, and available to help you during normal business hours (8-6 M-F, 9-5 Sat). Please come see our convenient, secure & climate controlled facility and speak with us, or call us at 508-481-1144. We are happy to help you select the storage unit size that best fits your needs. Also, there is storage unit capacity information on the What Do I Need page. Acorn Self Storage proudly contributes to the Marlboro Community through our support of many local organizations. Acorn Self Storage is located on Rte. 20 East in Marlborough, MA in the Post Road Plaza. Our entrance is on the left side of the building shared by Ocean State Job Lot and Marshalls (directions to Acorn Self Storage).